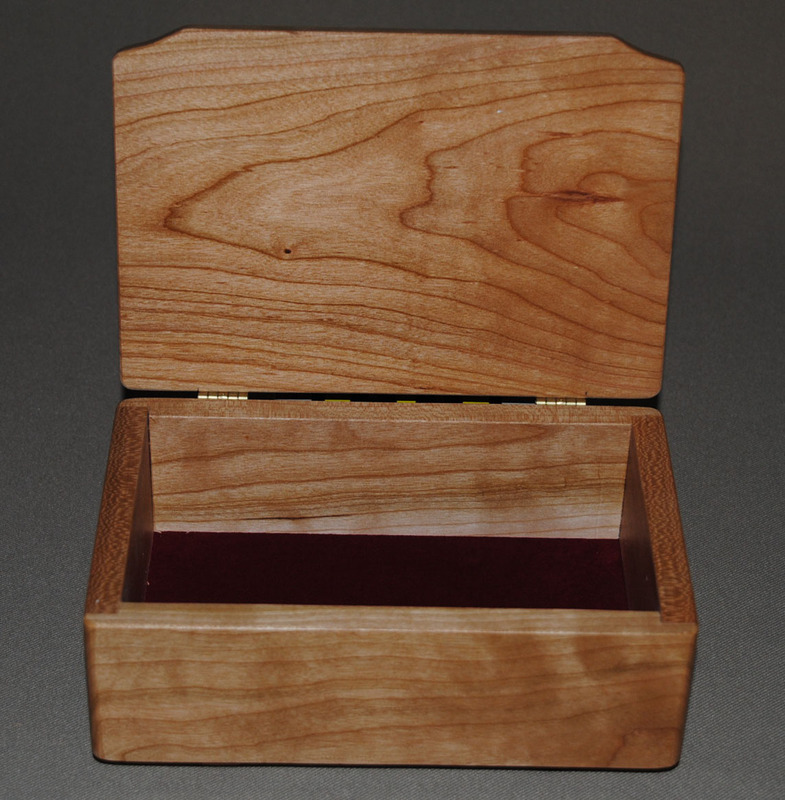 The rectangular boxes shown below make a beautiful addition to any room in your home. Their uses are just about limitless and they make terrific gifts for groomsmen, a graduate, or for you! 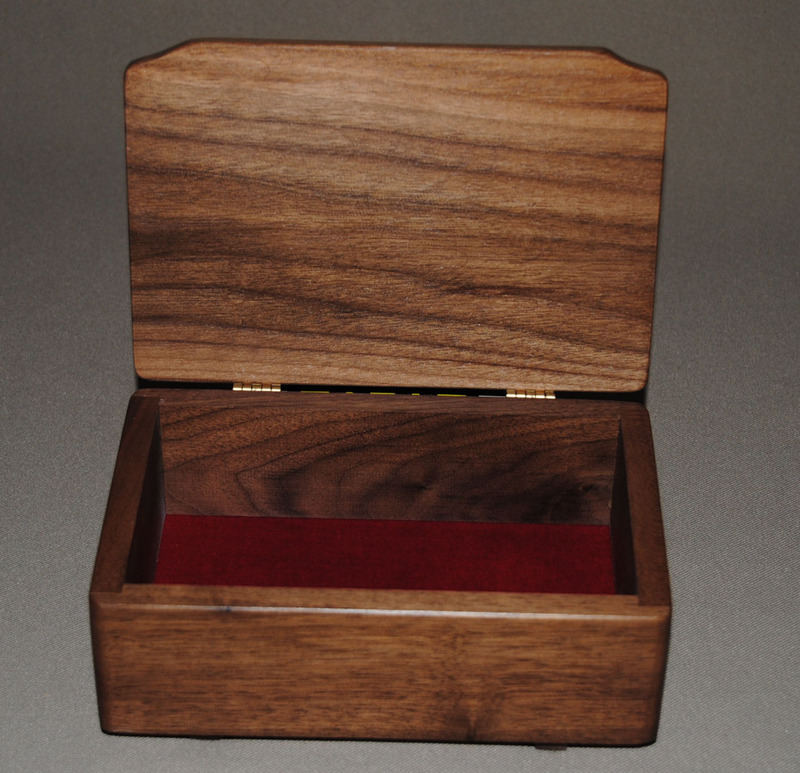 They are available in oak, cherry, or walnut and are 8 inches long, 5 inches wide, and 3 inches deep. The bottom of the interior is lined with a deep red velveteen for a more elegant look, and felt dots on the bottom prevent scratching of any surface. A thoughtful, beautiful gift for just about any occasion!